Does your job entail you working from home? More and more of us these days are working from home, thanks to the internet and innovations such as remote desktop services and e-Conferencing. No longer do we have to commute to the office all the time, when the tasks we need to perform can be achieved just as easily at home. When you work from home, it’s much better to have a dedicated area in which to work, rather than flipping open your laptop on the kitchen table among the detritus of a family breakfast. Lots of people use utility rooms or even outhouses to provide themselves with a dedicated home office. You work best when you are comfortable, and that doesn’t just mean having a nice, comfy chair in which to sit. It means having a comfortable working environment, where you are at a perfect temperature, no matter what the weather is doing outside. 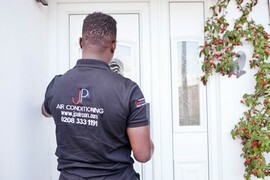 Here at JP Air Conditioning in London, we can supply you with the perfect air conditioning solution for your home office. Our heat pumps systems will keep you and your equipment at the perfect temperature all year round, providing heating or cooling when needed. Having adequate air conditioning will not only enable you to be more productive, it will help your equipment to work better as well. Computers, printers and other IT equipment all give off heat, and as they warm up, they run much less effectively. If your home office is a small room (as home offices typically are), the room temperature will keep rising, causing your IT equipment to slow down or even worse, shut down altogether. By installing a proper and effective air conditioning system you will provide yourself with a much more effective workspace, for both you and your equipment. Everyone’s set up is different, and everyone’s home is different, that is the approach that we like to take. 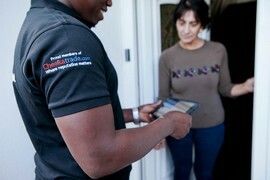 Whether you work in a loft, cellar, spare room or garden office, we can accommodate your needs. We promise that the solution we provide will fit your needs perfectly, keeping your home working environment at the perfect temperature to maintain your productivity.